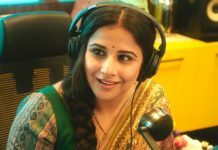 Check out the very first song from the thriller movie Kahaani 2. Titled as Mehram, it is sung by Arijit Singh. 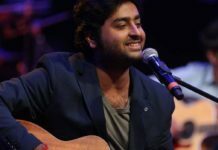 Arijit Singh proves yet again why he is the king of romance. The song titled as Mehram is another enchanting number in his mellifluous voice. The soothing music has been given by the very talented Clinton Cerejo while the lyrics have been penned by Amitabh Bhattacharya. This song is so romantic that it will run through your mind again and again. In the video, Arjun Rampal discovers Vidya Balan aka Durga Rani Singh’s past when he goes through her diary. The sweet moments between Vidya and her daughter Mini will get you teary-eyed. Directed by Sujoy Ghosh, Kahaani 2 also features Jugal Hansraj and Tota Roy Choudhury in pivotal roles. It is set to hit the screens on 2nd December.